Eddie knows her mum would love a Fluffy Squishy Itty Bitty for her birthday. The only problem is that she doesn’t know what a Fluffy Squishy Itty Bitty is, or where to find one! Join Eddie as she tours the whole town, trying to track down the perfect present. The youngest member of a brilliant family, Edith thinks she’s not very good at anything. But when Edith – who lives in Paris and is five-and-a-half years old – goes in search of the perfect birthday gift for her mother, something magical happens. Her quest is to find ‘a marvellous fluffy squishy itty bitty’. With the help – and sometimes the hindrance – of her favourite shopkeepers Edith succeeds – marvellously! Through the eyes of a child we encounter a Paris that is familiar and fresh, while joyous wordplay adds to the pleasure. 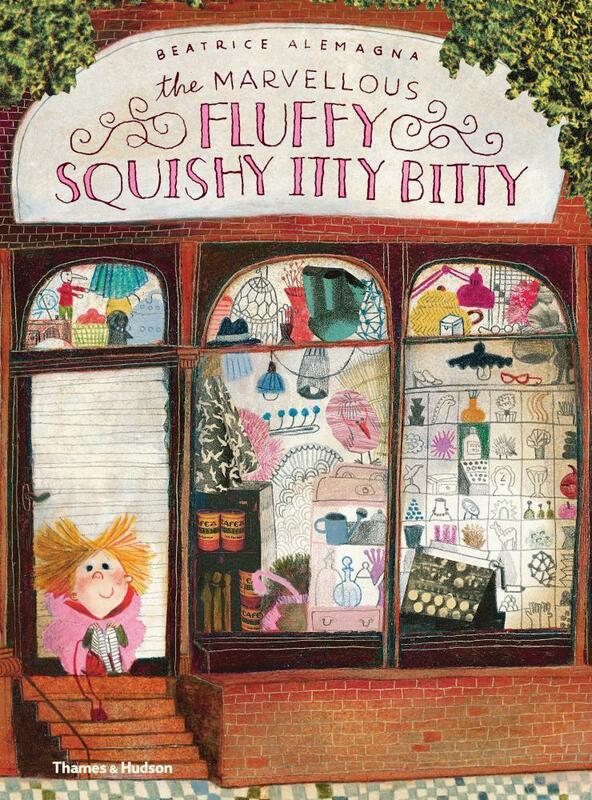 If you like fine picture books then you will certainly want your own ‘marvellous fluffy squishy itty bitty’. This quirky and allegorical picture book is filled with humorous and poignant moments, brought to life beautiful contemporary artwork from one of Europe's best-loved talents. Eddie knows her mum would love a Fluffy Squishy Itty Bitty for her birthday. The only problem is that she doesn't know what a Fluffy Squishy Itty Bitty is, or where to find one.